We at Airport MiniStorage do our best to accommodate all reservation requests. Found this place on Sparefoot. Convenient location near LAX. Got registered on-site within minutes and moved in the same morning. It was my first time using Sparefoot and also renting a storage unit, I had a great experience. Affordable storage near the airport. 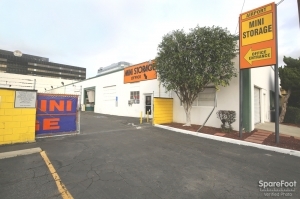 This storage facility was the best priced of any we found in LA and conveniently located near the airport. Am satisfied wirh the services offered and the monrhly pricing is perfect. Special thanks to Anthony Cotton.He is a great guy. Keep up the good work . They had the best prices in the area. This facility is a low cost alternative. On many of the units you can drive right up to the storage unit. 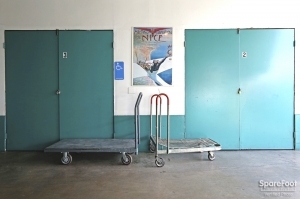 There are some limitations, such as no Sunday Access, It is small, there are units on the ground, and some are up high that require ladder or electric cart to access. Anthony was our check in manager, and he is wonderful. He was very helpful in locating the appropriate unit. He set us up, and we moved in. good service and very close. The manager was very nice and good customer service. Clean, organized, and let me borrow a dolly. The gentleman was very nice and helpful. Airport mini-storage has been unfailingly kind to me and I have never had any problem with them. It's true! 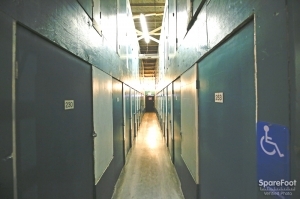 The prices are good and the storage facilities are fine. The hours are good too. They're constantly increasing prices and they need to extend their hours. My biggest issue is every time I need assistance they are on lunch or out the office. I also hate that the online system has an incorrect address attached to my account. I also don't like that I can't pay a lesser amount online. Great manager. Some staff less concerned about customer satisfaction. Super glad i found them! My sisters and I have been a member for many yeas. When Anthony arrived, he has provided us with great service for many years. Overall, Airport mini Storage is exactly what I needed. It is affordable and has a variety of sizes available. 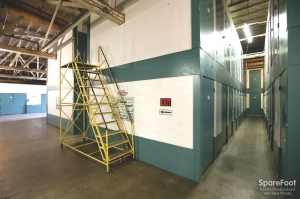 The reason it is a 4/5 is because their hours are limited compared to other storage options and they do not have a sprinkler system for a fire emergency. The place is great. We've never had an issue and we've been clients for 3 years. Excellent customer service but lacks equipment. I've been a customer for almost 2 years. I love the friendly staff and the cleanliness of the place. It could get some upgrades, but it's ok overall. The only thing I think they can improve on is on equipment. A lot of times when I have to go to my storage unit there is no equipment available. My unit is on the top and I require a ladder. There isolated not one ladder, and most of the time is in use. One time I had to come three days in a row and had to wait for hours to get a hold on that ladder. After I got the ladder there was another tenant that needed it and I was getting mad and pressuring me to give him the ladder. Airport mini storage definitely needs to improve on this. Also, access hours are horrible. 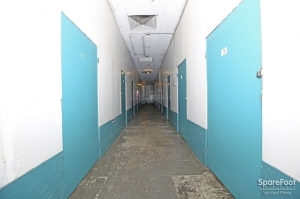 The facility is old and not the cleanest...but it's cheaper than others and nearby so I stay. Limited amenities, but still good. I'm paying $59/mo for a 4'x8'x8' unit - unbeatable price here in LA. Anthony, the manager was helpful and friendly getting me set up, and even gave me a discount on my first 2 months! However, my unit is an upper unit, which means you have to roll a portable metal scaffolding stairs tower thing to access it, and a portable crane if you have heavy items. There is only one of each of these, so if someone else is there, you have to wait until they finish. Also, the units have no lights, so you have to bring some sort of portable light source if you want to organize or find certain items. For the price, I'm willing to make the sacrifice (and of course, this only applies to upper units), but if there were a second stairs tower and crane, I'd give it full 5 stars. The rep was helpful, informative and really great. I was brought into the office due to an online special. I was satisfied with the space and the service was okay. The staff was helpful. The place wasn't too dirty. I was upset to find out you aren't able to access the property on Sunday. They should also warn you about the homeless population right outside of the gate. Needless to say, I paid and I'm never moving in. I don't trust my things here. Bottomline. I'm happy I chose this facility I got 3vmobths 1/2 off & the customer service was impeccable. My only concern is the danger of the upper units. I am not comfortable with having to climb the steep steps on the ladder with my to be stored items and then only having a small platform for support. Anthony was very receptive to my concern and I am to go back in and see if I can get a lower unit. At the time I went on line, my concern was price and I reserved according to price. Same price as advertised and not a penny more. Move in was straight forward and simple. Easy to access and find. Great customer service. Thanks. Facility not upgraded in relationship to cost increases. Prices have really skyrocketed since I first opened my storage unit approx. 3 yrs ago, so now I'm not seeing it as an affordable option for storage since it is a very old facility with minimal lighting so I had to bring in extension cords and lamps in order to work in my storage room. It was worth it because the cost was compatible but now that costs are as high as some state of the art storage vendors that have high security and ample lighting I am in need of additional storage and will be shopping around. Also, the location dictates the clientele sometimes and I have been hassled by unsavory characters for no reason while on site. I don't feel it is right to raise the rates so high until some of this is improved. The manager, Anthony was great. Gave good advise on size of unit. 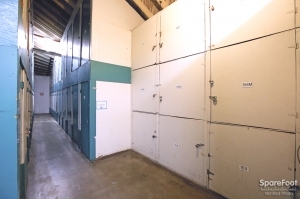 Great secured storage at a fair price. I've been a satisfied customer since 2008. Never had any problems with security and your staff is friendly and helpful. A big shot-out to Anthony, who has always gone above and beyond to accommodate me whenever I needed to make changes, and for being friendly and professional at all times. Great service! Having Anthony there for such a long time gives me the security that a friendly and responsible person is there. Personable and professional management with courtesy. Couldn't ask for a better setup. Highly recommended. the on-site manager is wonderful! Anthony was terrific. So professional and friendly. The Manager is Awesome ... Efficient and Friendly. Hope this guy geta paid his worth ð There are camz on the property, but its a one man op, so if the mgr. Is not there, all they have is the cam- tape. There really should be a gate with security codes for the customers. Old'ish facility, could use an up date to better unit doors as well. Its clean tho!!! That and the Manager make the place, and its classic charm with old aviation photos throughout. Thanks For the eaay move in!!! this is best bang for your buck, it's prime location and great prices are hard to beat. Good Value for the money in the area. I just wish there were lights in the smaller units. dirty at first,then I cleaned the unit out. had a mouse hole, but the guy helped patch it up. security was lax at times. 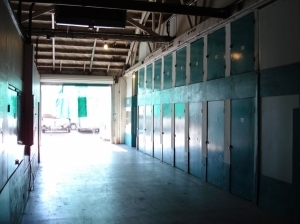 This is a good storage facility for your needs. It's not open 24 hours, and it isn't the fanciest-looking, but you can get a lot of room for the price here. great place safe place highly recommened. Good customer service, very clean ,quiet and safe. The facility has a good variety of sizes available, but the biggest problem is getting to them if someone is loading or unloading. There is only one way to get in and if you try to drive a rental truck in there isn't much space to work with, and you can only go in so far or risk scraping against a wall when you try to back out. Anthony, the manager, is extremely helpful and accommodating, though and does his best to help you work around problems. Also, if you get a unit on the upper level, you might have to wait because there is only one set of mobile stairs and hand operated hydraulic hoist that you can use. If you come on a weekday, you probably won't have too much trouble, but on a Saturday, there could be a long wait. It was suitable to my needs and the service was efficient. Overall, a good experience. For the price, this is a very good value for storage. Anthony made the start process very easy and couldn't have been more helpful! I was surprised at the time. I got the space I needed at a fair price. I needed a unit at the very last minute and this facility came through for me. The owner was extremely helpful. My experience was mostly positive. The manager was very friendly and helpful. The facility itself was clean, but seemed pretty dated and not that secure. The overall layout was somewhat strange, and it was a bit tricky to move things into the upstairs units. This place is near the airport and the 105 which makes it easy to get to. It's inside location but you can drive your car in which is convenient. It's an old Hughes Aircraft hanger converted to a storage facility. It's old and somewhat dingy but reasonably well maintained. It's pretty cheap. For $200/month I got a very large 11x12 space with 9 foot ceilings. One major complaint is that they're not open Sundays. I have only been there for a few days. I have no complaints up to now. Manager was very nice and helpful. 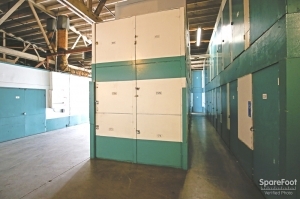 I have a storage space with Airport Mini Storage, great area and quiet reasonable. Anthony is a great rep wish many rep was like him highly recommended! Every thing seemed fine for about six months. One day there was a different lock on my unit. I double checked with the office to make sure I was paid up. Every thing was good. I came back the next day and sawed that lock off. Upon opening the door I found more than 75% of my stuff gone! The office said they would report it but when I checked out the next day the office manager when asked if I should state theft as the reason I was leaving said no, that wasn't necessary. He told me I was the first victum of theft I suspect it was an inside job. Ill never rent storage without full video survelance. I believe you get what you pay for. if you're looking for a bargain price this is the place. The cheapest units are a biit strange with a 4 ft. high door to a space that's 8 ft. high ??? Not uch if any security (no cameras) that I could see . Poor lighting.... several units appear to be in very dark hallwaays with no lights. No Sunday access. Anthony the manager was exceptional though. VERY Helpful and accomodating. A genuine Nice guy! Bottom line ...Can't expect TO much for the price. Excellent customer service. I am very happy! Fabulous! Very Happy with the service and my unit! I absolutely recommend Airport Storage for anyone's storage needs. The facility is very clean, neat and accessible. Customer service is very good. I got a great deal on a second floor unit and renting the unit and filling out the paperwork was very easy and did not take too much time. My overall experience was great, I experienced no problems or difficulties at all and am so happy to have such a convenient place to solve my storage problems. I am a very happy customer. Thank you Airport Mini Storage! Friendly service and a great price! Afordable storage with easy access. the paperwork was thourough and efficient. Wonderful old howard hughes building with lots of aircraft pictures. It's much closer to home. I'm happy. Best storage facility and people ever!